Mann Metals Corp. knows that our local fencing manufacturers and installers are working hard to build good fences, good neighbors, and good partners! Fencing contractors make an effort to exceed customer expectations and to be good corporate neighbors and partners to other local businesses. Mann Metals Corp. is creating partnerships with local fencing contractors in Walled Lake, Commerce, Novi, Troy, Wixom, West Bloomfield, and more to recycle their scrap metals, reduce their waste costs, and generate cash for waste. 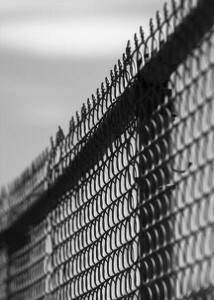 Fences serve an important role in residential and commercial security, and can increase the value of a home or business, too. As a contractor, we want to add value to YOUR fencing business by making it easy and quick to recycle your ferrous, aluminum, and other scrap metals…while reducing your waste costs. Recycling your scrap with Mann Metals Corp. is also a great way to go green and appeal to eco-minded customers…you can bring in a whole new customer base this way. Green consumers appreciate knowing that their old fencing and the scrap created during manufacture and installation is being recycled. It’s a great draw for new customers! Feel free to contact us at Mann Metals Corp. today for more information about small or large scale recycling partnerships with us. Have a large volume of scrap? Ask us about containers and pick up! Like our blog? Want to see a particular topic? Tell us about it the next time you bring in your scrap metals! The interest in “green” construction and demo has risen steadily in recent years, with more and more consumers looking for energy-efficiency in commercial and residential building systems, renewable resources in their building products, and even contractors with eco-friendly products and practices. 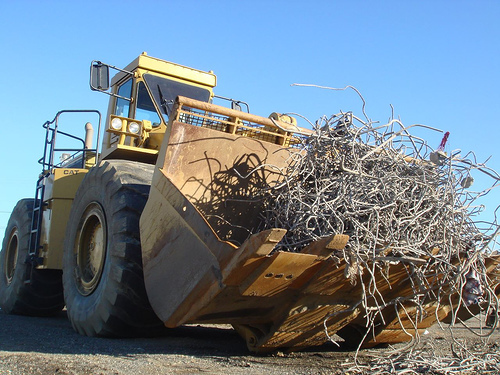 Partnering with Building and Demolition Contractors, Mann Metals Corp. makes selling your ferrous and non-ferrous scrap metal from construction and demolition easy and profitable, and allows you tap into the “green consumer” market! Even new builds produce scrap metals, part of your revenue comes from demolition as well as construction. To the average consumer, demolition carries connotations of waste and destruction, but when you make reclaiming and recycling metals a part of your demo plan, you create the opportunity to market your corporate responsibility, “green” policies, and environmental respect. Selling the scrap metals from the demo phase of a job can return a little cash to your pocket, and attract a new customer base. It’s a double benefit! Contact us at Mann Metals Corp. for more information about containers and pick-up service for larger amounts of scrap metals, and for lists of what we purchase. If our blog articles have been useful to you, please let us know when you bring in your scrap metal. Thanks! 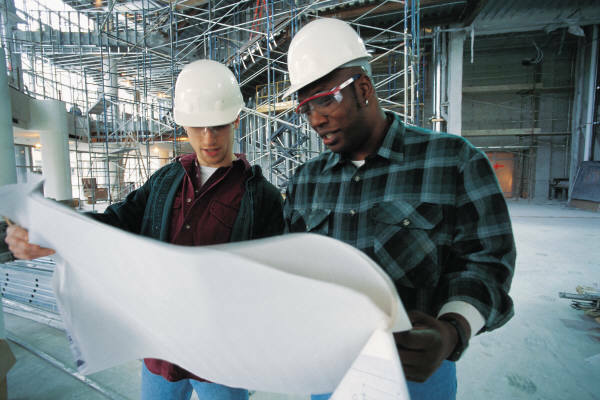 Residential and commercial disaster recovery services are a perfect partner for Mann Metals Corp. Whether you help your clients recover from fires, floods or crimes, we can help you reduce your costs and impress your potential customers with your eco-friendly services! Mann Metals Corp. buys and recycles all kinds of scrap that would normally fill a container and cost you hauling and dumping fees. That warped steel shelving? We recycle. Lighting or computers that have water damage? We purchase the scrap metals. Broken office cubicles? The aluminum framework is highly recyclable. Much of the scrap metal pulled from a burned or flooded home or business can be sold for top prices to us, and we’ll recycle it…and that’s a great advertising point for your business. Contact us for more information about whether your business qualifies for our containers and pick-up services, or for current prices. If our blog articles have been useful to you, please let us know when you bring in your scrap metal. Thanks! 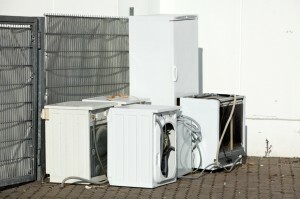 Many top-rated Department Stores offer free removal of old appliances upon delivery of the new items. This attracts customers, creates interest, and promotes brand loyalty. Mann Metals Corp. can help you control your overhead and allow you to advertise your company commitment to greener business practices! Here at Mann Metals Corp., we adhere to sustainable recycling practices, and offer competitive market prices and prompt, reliable payment for your scrap metals and e-waste. 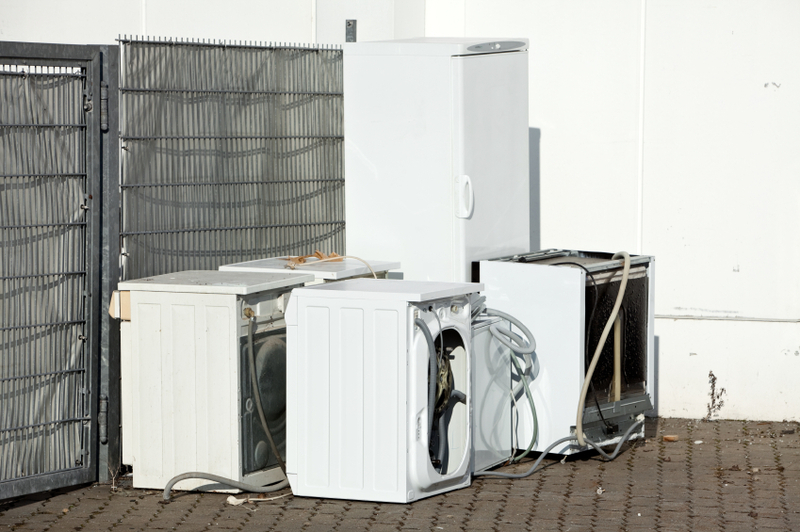 Remove those old appliances and dump them straight into one of Mann Metal’s roll-off containers. Let us collect all your useful scrap metal and pay you for it! Keep your pockets full, and your waste containers empty….and go greener at the same time. Contact us for more information about how we can help your bottom line and increase your “green factor” for environmentally conscious consumers! 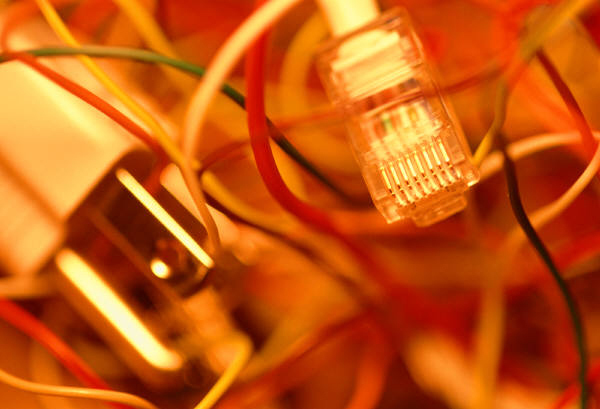 And if our blog articles have been useful to you, please let us know when you contact us about your scrap metal. Thanks!